Winger Solly March has celebrated his 24th birthday by signing a new long-term deal with Brighton. March has made 125 first-team appearances for the Seagulls, including 36 in the Premier League last season, and his new deal will keep him with the club until June, 2022. 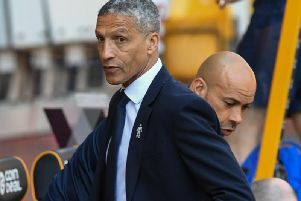 The Sussex-born winger joined Albion from Lewes in 2011 and Brighton manager Chris Hughton said: “I am delighted for Solly, as he’s worked extremely hard to get to this level and thoroughly deserves his new deal. “He’s proved an important member of the squad in recent seasons, and despite being relatively young, Solly has collected a good amount of experience this early in his career.